Right now these Printed Round Towels are just $14.99 (Retail $50). 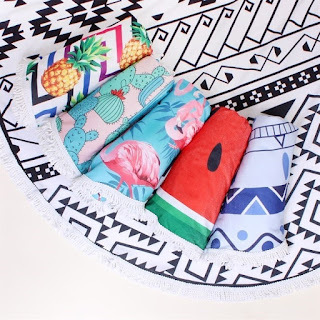 A fun variety of round beach towels featuring abstract prints and fringe hems! Perfect for outdoor activities and great for the beach. Big and spacious. Not just a gorgeous beach towel or beach blanket! Use it for park picnics, yoga &amp; meditation &amp; poolside lounging. You can even use as a camp side blanket even just as a beautiful throw or bohemian tapestry for your indoor décor.